The most adventurous things to do in Australia! 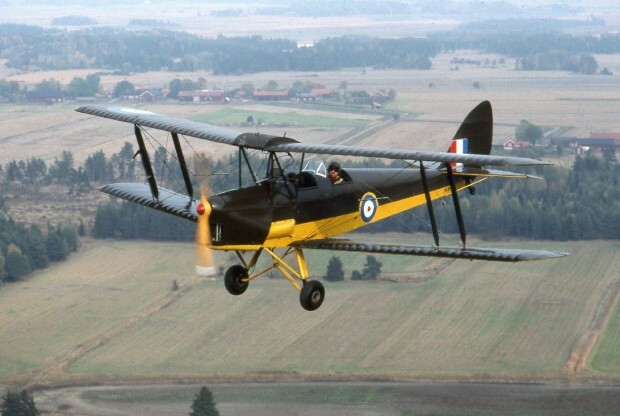 Used by the British Royal Air Force during World War II, The Tiger Moth promises a truly unforgettable adventure. I felt as though I’d stepped back in time as I donned my leather helmet and goggles, and felt the wind beating on my face in the open-air cockpit. The fact that the cockpit is open injects quite a dose of adrenalin into your veins, as at any moment, you may feel that you could fall out. However, the flight is completely safe and definitely a worthwhile experience. Swimming with dolphins is possibly the best way to transcend your everyday awareness, and to connect with something in an almost spiritual way. There are no words to describe the feeling I had whilst in close proximity to these beautiful creatures, and a feeling of serenity completely encompassed me as I was surrounded by the vast and deep ocean. There are few other things that compare to the sight of the dolphins jumping out of the water playfully, and hearing the sounds they use to communicate. I visited the Franklin River, located in the Franklin-Gordon Wild Rivers National Park, and had an incredible white river rafting experience. I recommend that you immerse yourself in the surging rapids, and float down the still waters as you take in the surrounding beauty of nature. There is a lush rainforest to entice the eyeballs, with wildlife that includes platypus, wallabies and sea eagles. Australia has a great selection of beautiful beaches, and if you’re keen on taking your beach experience to the next level, grab a surfboard and take to the waves. Beaches like Agnes Water, Bells Beach and Bondi Beach are my particular favourites. Bondi Beach is Australia’s most famous beach, and is packed with tourists and surfers. Byron Bay is also a pretty popular surf spot, and of course, the aptly named Surfers Point, which is the perfect beach to ride waves, with some waves reaching up to 500 meters. There are few things that compare to the feeling I got while free-falling through open air with the world beneath me and the wind beating against my entire body. For some people, skydiving is a terrifying experience, while for others, it’s the most exhilarating activity imaginable. There are tons of skydiving packages available in Australia and a variety of locations to choose from, all at reasonable prices. One of the most famous spots in Australia, the Great Barrier Reef is an absolute must-see. The biggest coral reef in the world, the Great Barrier Reef consists of 2,900 individual reefs over 900 islands. Home to multiple endangered species, the reef is also home to whales, dolphins, porpoises, thousands of fish species and saltwater crocodiles. My experience of Australia was unlike any other, and I left with a completely new perspective and appreciation for life. It’s like discovering a new aspect to life, kind of like discovering Euro Palace Mobile Casino and finding out that you can game on the go, whilst all this time you’ve been confining yourself to fixed locations in land-based casinos. You never know what you’re missing until you take the plunge. Posted in Australia and tagged with Australia, things to do in Australia. RSS 2.0 feed.